The American Kennel Club recognizes over 200 breeds, which can participate in events like conformation shows, agility, earth-dog trials, and obedience trials. In the past decade, a handful of “new” dog breeds have been added to the registry. These are not necessarily brand-new dog breeds, but rare breeds that had to demonstrate enough interest before they could be recognized by the AKC – they must have a dedicated National Breed Club, and at least a few hundred dogs across the United States. The Bergamasco Sheepdog was bred to flock sheep in the Italian Alps, with a characteristic coat made up of “flocks,” or stands of hair formed together to form felt-like locks. Their fur is made up of three types of fur: dog, goat, and wool – the latter two appear by the time the dog is a year old. Then, the coat must be ripped into ‘matts’ to create their trademark flocks. Fun Fact: The Bergamasco Sheepdog only needs 2-3 baths per year. The Pumi, recognized in 2016, is a Hungarian herding dog that was first bred over 300 years ago as a cross between a Puli and German and French herding dogs, known for its half-perked ears and corkscrew curls. This is a high-energy, non-shedding single coated dog that is happiest in active households. Fun Fact: Pumik is the plural form of Pumi! The American Hairless Terrier, recognized in 2016, was first bred in Louisiana. Its ancestors were hunting dogs, though its lack of fur makes it unsuitable for hunting purposes. True to its terrier heritage, it is a feisty, high-energy dog that quickly picks up new skills. Fun Fact: The American Hairless Terrier needs to wear sunscreen to keep its exposed skin from burning! The Boerboel, recognized in 2015, is a South African bred to guard farms. Powerful and intimidating, it had to be able to protect livestock from lions. The Spanish Water Dog, recognized in 2015, was built to tackle two jobs: herding livestock and retrieving waterfowl on hunts. Their woolly, corded coat keeps them warm even in cold bodies of water. Fun Fact: The Spanish Water Dog has webbed feet! The Berger Picard, recognized in 2015, is a French herding breed with a distinct, wiry coat and large, perked ears. It is so rare in the United States that it may be mistaken for a mixed-breed dog. Fun Fact: A Berger Picard was the star of the 2005 film “Because of Winn Dixie”! The Lagotto Romagnolo is an Italian breed with waterfowl retriever ancestry, though the breed is now known for its ability to sniff out truffles – they’re considered to be the world’s finest truffle dogs. They have a woolly, double-layered hair coat that is hypoallergenic and requires regular grooming. Fun Fact: “Lagotto” means lake, hinting at the Lagotto Romagnolo’s roots as a waterfowl dog. 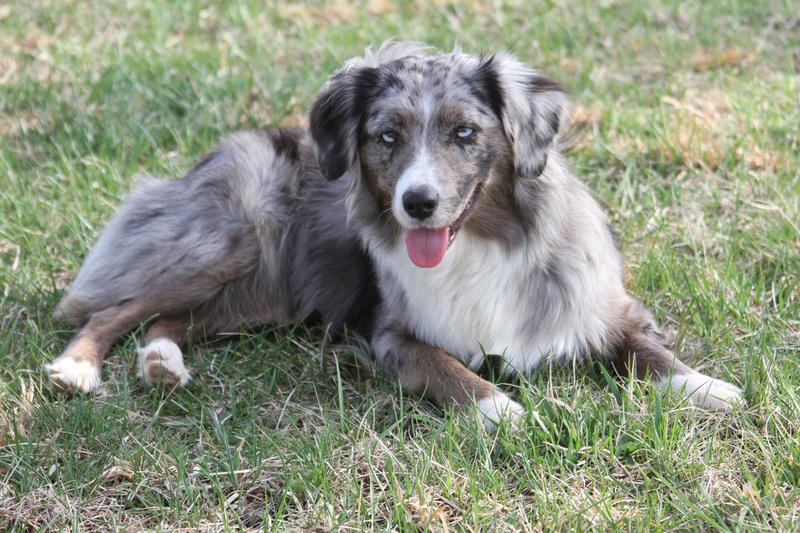 The Miniature American Shepherd was only recently created, in the 1960s, in the American Midwest by breeding small Australian Shepherds to create smaller and small pups with each generation. These dogs are easy to train and excellent at agility. Fun Fact: Some Miniature American Shepherds are born with a bobtail, others are docked shortly after birth. The Nederlandse Kooikerhondje, recognized in 2018, was bred in the Netherlands to lure ducks into cages, though they’re now typically companion dogs. They’re easy to train and excellent at sports like agility. The sporting breed has a silky white coat with reddish patches. Fun Fact: The Nederlandse Kooikerhondje has a silky coat that repels dirt. Grand Basset Griffon Vendeen (GBGV), recognized in 2018, is a French hound dog bred to hunt in packs. Their rough coat is easy maintenance and resists picking up brambles and debris during hunts. Fun Fact: They were bred to have short legs so that hunters, particularly those without horses, could easily keep up with them. What ‘NEW AKC BREED’ Is Your Favorite?